Cristiano Ronaldo is finding hard to replicate the sort of form that allowed him to win the Ballon d’Or last season. The player has been struggling so far with injuries and had yet to find his best form. 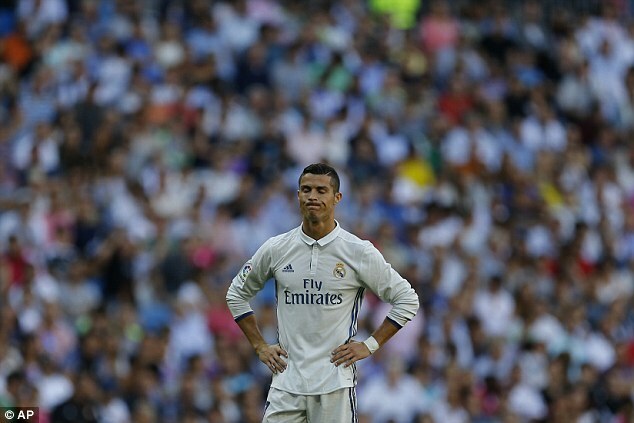 Things have been so bad that the player was booed by his own fans against Malaga. Some pundits have argued that the player might be in decline and that there is no way that he could recover his best form. Indeed the player does not possess the same acceleration that he had in the past and has more and more problem in influencing games as he did in the past. More often than not, the player finds himself playing as a striker and cannot impact games as he did in his early career. It is a bit early to say whether the Portuguese international is past his best as he has struggled with injuries this season. Ever since his injury in the final at the Euros the player has been spending time in the treatment rooms and has only come late to training with Real Madrid. This means he has missed the important pre-season training sessions, and this had an incidence on his present campaign. Cristiano Ronaldo has stated that he is gradually coming back to his best level and he feels that he can help the team win the title again this season. He admitted that he has started the season poorly and has not been to the level of last season. However, he believes that Real Madrid has a lot of talented players that can help the team win games and that they do not rely solely on him. He said that Real Madrid is a big team and that they can win games whether he is present or not.